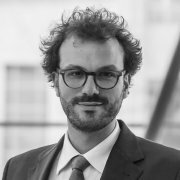 In this blogpost, Simone Tagliapietra and Georg Zachmann argue that, while natural gas currently represents the most important area of energy cooperation, the EU and Algeria should focus their attention on energy efficiency and renewable energy. In the aftermath of the 2014 Ukraine crisis the European Union (EU) revitalised its quest for security of natural gas supply. The double aim was to diversify its market away from a perceived over-reliance on Russian natural gas supplies and to make it more resilient to potential supply disruptions. 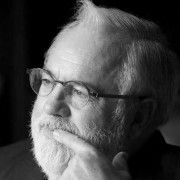 Pushing ahead with this plan, the EU commissioner for climate action and energy Miguel Arias Cañete visited Algiers on 5 May 2015 to launch together with the minister for energy and mines of Algeria Yousef Yousfia new high-level political dialogue on energy matters. This new initiative aims to enhance the bilateral energy cooperation, in particular through the creation of two groups of experts, dealing respectively with natural gas and with electricity, renewables and energy efficiency. In this blogpost we will argue that, while natural gas currently represents the most important area of energy cooperation, the partners should focus their attention on energy efficiency and renewable energy. For Algeria natural gas represents a vital sector of the economy, accounting for about 20% of budget revenues and 40% of export earnings. According to BP, the country owns the tenth largest proved natural gas reserves in the world (4.5 trillion cubic meters). These reserves might increase still further in the future, considering that the Energy Information Administration (EIA) estimates that Algeria owns the third largest technically recoverable shale gas resources (~20 trillion cubic meters) in the world after China and Argentina. Notwithstanding this huge endowment, the recent evolution of Algeria’s natural gas balance has been meager. As illustrated in Fig. 1, after a boom during the 1990s, the country’s natural gas production has basically stagnated since 2000 within a range of 79-88 billion cubic meters per year (bcm/y). Meanwhile, the country’s natural gas consumption has progressively grown over the last decades, to reach an all-time-high of 32 bcm in 2013. Consequently, exports substantially declined over the last years, to a level of 43 bcm in 2013. Source: Bruegel elaboration on BP Statistical Review of World Energy and IEA Natural Gas Statistics. Under these circumstances, the well-established natural gas infrastructure connecting Algeria and Europe has been increasingly underutilised. As indicated in Tab. 1, in 2013 Algeria exported 25 bcm of natural gas via pipeline (out of an export capacity of 54 bcm) and exported 15 bcm of LNG (out of an export capacity of 40 bcm). The magnitude of the 54 bcm of unused capacity is impressive if compared, for example, to the Southern Gas Corridor: a major EU natural gas supply diversification project, which is expected to deliver only 10 bcm/y to the EU by 2020. Source: Bruegel elaboration on BP Statistical Review of World Energy. The problem is that there is only so much the EU can do to help Algeria improve its natural gas sector. So the infrastructure and geological preconditions seem to be in place for a significant enhancement of the cooperation between Algeria and the EU in the natural gas sector. The problem is that there is only so much the EU can do to help Algeria improve its natural gas sector. The major bottlenecks are due to the regulatory framework inside Algeria, which is deeply rooted in the political economy of the country. Universal energy subsidies and rent-seeking behavior by various parts of the public sector are the major barriers to foreign investments. As this is a highly politicised area, the EU could mainly contribute by sharing best-practices through different channels such as the newly established EU-Algeria group of experts on natural gas and the Association of Mediterranean Energy Regulators (MEDREG). Domestic natural gas consumption in Algeria constantly grew over the last decades largely because of the country’s booming electricity demand, which quadrupled from 16 terawatt-hours (TWh) in 1990 to 58 TWh in 2012, while Algeria’s electricity generation mix continued to be largely based on natural gas (92%). Source: Bruegel elaboration on BP Statistical Review of World Energy and IEA World Energy Statistics and Balances. As Fig. 3 illustrates, Algeria’s primary energy intensity (the indicator measuring the total amount of energy necessary to generate one unit of GDP) increased from 2000 to 2013, albeit within a structurally low band. In the same period primary energy intensity substantially decreased not only for the EU and world averages but also in several countries with a comparable GDP. Qatar is an exception to this trend, being one of the most energy intense countries in the world. Source: Bruegel elaboration on Enerdata. If this negative trend continues it will require a further expansion of domestic energy infrastructure and also imply lower energy exports to Europe. In this context, energy efficiency should be considered as a key tool to secure the viability of future exports of natural gas from Algeria to Europe. Considering that energy efficiency is less fraught with the political-economy complications which prevent the EU from playing a more conducive role in the Algerian natural gas sector, it should be the primary target of a new bilateral energy cooperation scheme. With huge untapped energy efficiency potential in the country, EU-Algeria cooperation might already generate positive results in the short term. The second target of a new cooperation scheme should be renewable energy. In fact, the natural gas-based electricity generation mix of Algeria appears unnatural given the huge renewable energy potential of the country. The country is endowed with massive solar and wind energy resources. A study published in 2005 by the German Aerospace Center (DLR) estimated that Algeria owns the highest concentrated solar power (CSP) production potential in the world. At the same time, the country is also estimated to have considerable photovoltaic (PV) and wind energy potential. At electricity generation costs of at best 13 €ct/kWh for CSP and around 7 €ct/kWh for PV (IRENA 2014), these technologies are not competitive with existing Algerian gas turbines. Those generate electricity from gas that could be sold to the EU market at 2.5 €ct/kWh, which translates into generation cost of about 6 €ct/kWh (40% efficiency). However, renewables will become competitive as increasing electricity demand will require additional gas turbines (with fix cost about 0.5-1 €ct/kWh) and the cost of renewable energy technologies are expected to decline further. Given the high share of capital cost in the cost of renewables, the main variable for the speed by which renewables become competitive in Algeria is the cost of capital. This is largely a question of the regulatory framework and business environment. European public banks could provide technical and financial assistance to enable better financing conditions for such projects in Algeria. In the medium-term, the exploitation of renewable energy resources could thus generate consistent economic benefits to Algeria. It could free up considerable volumes of natural gas, currently used for domestic electricity generation, for additional exports to Europe. Considering the underutilised export infrastructure, this would translate into immediate economic returns for the country. Cooperation in the electricity, energy efficiency and renewable energy area could therefore be very beneficial for both the EU and Algeria. For the EU it might unlock additional natural gas sources. For Algeria, it would not only help to strengthen the sustainability of the country’s energy future but could guarantee its macroeconomic stability, which is threatened by current energy trends. The International Monetary Fund (IMF) recently outlined that for the first time in nearly 15 years the current account of Algeria is expected to record a deficit, partly because of strong domestic hydrocarbon consumption and lower hydrocarbon export revenues. The EU should initiate a comprehensive cooperation scheme in the field, encompassing regulatory, infrastructure and financing issues. In particular, it should target the creation of favourable investment conditions by stabilising the country’s regulatory framework. A key contribution in this field might be provided by MEDREG and the Association of Mediterranean Transmission System Operators (Med-TSO) – both of which share best-practices across the region without being seen as tools through which the EU seeks direct legislative influence in third countries. Finally, as far as financing is concerned, the European Investment Bank (EIB) and the European Bank for Reconstruction and Development (EBRD) could help to develop and underpin risk-mitigation devices that allow private investors to put money into Algerian renewables and energy efficiency projects. The newly established EU-Algeria group of experts on electricity, renewables and energy efficiency could thus also serve as a coordinating platform for a much-needed joint action of MEDREG, Med-TSO, the EIB and the EBRD in the country. The Commission's White Paper on the future of the EU sets out five scenarios, but misses the fundamental questions facing Europe. How should the EU interact with its neighbourhood? How can we manage the tensions created by multi-speed integration? And above all how can the Euro be made sustainable in the absence of a major step towards fiscal union? 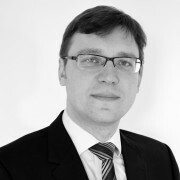 Georg Zachmann argues that the Nord Stream 2 project is a danger to the European consensus on relations with Russia. What is more, it could undermine efforts to diversify Europe's gas supply and might risk higher prices for Eastern Europe. The energy landscape of the Southern and Eastern Mediterranean is inefficient and unsustainable. Yet there is much potential for cooperation. How could the EU work with this region to improve energy systems? Speech held at Bruegel event on "How will the Paris agreement impact EU climate and energy policies? ", on 8 February 2016. How will the Paris agreement impact EU climate and energy policies? The COP21 negotiations in Paris resulted in ambitious targets but little detail on implementation. Which measures should the EU now take? Bruegel was pleased to welcome Commissioner Cañete for a discussion on the proposed Commission Work Programme for 2016. Instead of doing everything to reduce gas supplies from key suppliers, gas supply security could more effectively be safeguarded by ensuring that unused alternatives are maintained so that they can be tapped into for in case of supply disruption. 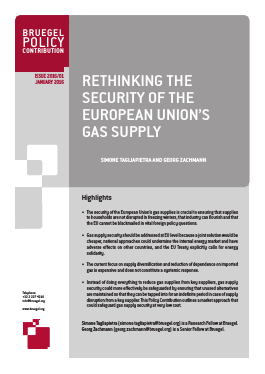 Simone Tagliapietra and Georg Zachmann argue that instead of doing everything to reduce gas supplies from key suppliers like Russia, gas supply security could more effectively be safeguarded by ensuring that unused alternatives are maintained. They could then be tapped into for an indefinite period in the case of supply disruption from a key supplier. Egypt: The catalyst for a new Eastern Mediterranean gas hub? The recent discovery of the large Zohr gas field in offshore Egypt - the largest ever made in the Mediterranean Sea - might completely change the regional gas outlook. Iran: a new natural gas supplier for Europe? The Iranian nuclear deal reached in July can potentially reshape the Iranian economy in general and its energy sector in particular. On the basis of this historical step, many voices suggested that Iran might (or should) become a new gas supplier to Europe. We suggest that there are important impediments to significant commercial gas flows from Iran to the EU in the foreseeable future. We argue, however, that cooperation on a limited pilot project could have strategic value. The 2014 Ukraine crisis reinforced the EU’s quest for security of gas supply. The European Commission released an Energy Union Communication in February, calling for intensified work on the Southern Gas Corridor (SGC) and for the establishment of a new strategic energy partnership with Turkey. 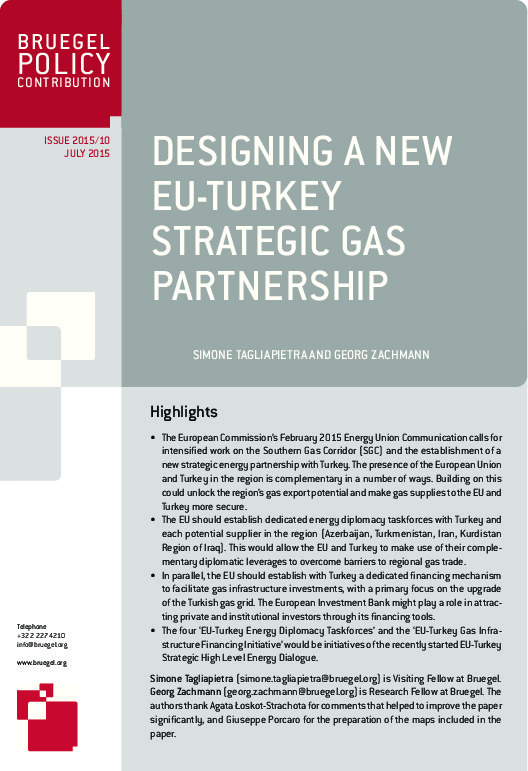 This Policy Contribution discusses what the EU and Turkey can expect from the establishment of a new strategic energy partnership. The authors focus on the Southern Gas Corridor, but also assess the impact of the Turkish Stream project.